Tortoise layered bracelet – super adjustable chunky bracelet! Ella Amber earrings – these match my dark hair quite well while adding a little sparkle. Ombré Tortoise pendant – this is a great statement piece. Love how long it is, and great color! 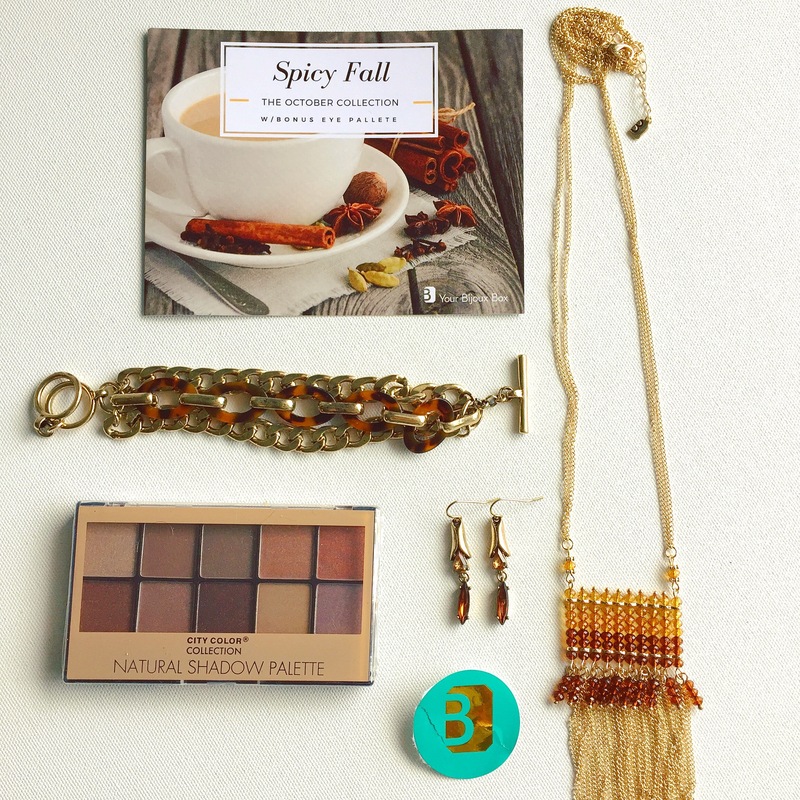 Bonus – Eye shadow palette – copper and browns here, perfect for this brunette!